McPHERSON, KAN., April 24. — Mike Young, a noted desperado and horse thief from Montana, was wanted for a long time by the authorities of Mitchell, Rice, Ellsworth and Reno Counties, for numerous crimes. Finally a reward of $100 was offered by the authorities, and Sheriff Frank McGrath, of Mitchell County, took the case in hand. 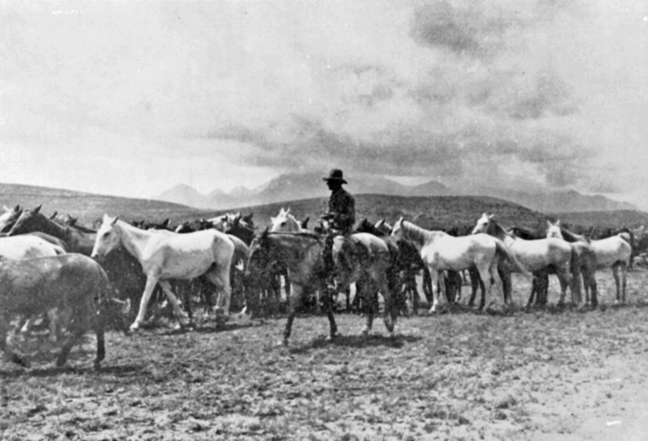 He followed the desperado for two weeks till he had located him near the farm of Frank Wauth, a respectable farmer, to whose daughter the young outlaw was engaged. The Sheriff succeded in getting a letter addressed to the young lady in question, announcing the desperado’s arrival and making arrangements for an elopement. Mr. McGrath then entered the house of Mr. Wauth under an assumed name, pretending to be a Missouri farmer looking for land, and waited two days for his game. The messenger departed and a few minutes later the desperado rode up to the house on one of his stolen horses. As soon as the desperado entered the house, Sheriff McGrath covered him, holding in his left hand a 44-caliber Colt’s and in his right an American bulldog revolver. As he exclaimed: “Mike Young I have a warrant for you, hold up your hands!” the desperado tried to reach his pistol pocket. The Sheriff called once more to him to hold up his hands, and as he did not obey the second time he fired with his left hand, hitting the outlaw on his forehead right above the eyebrows. 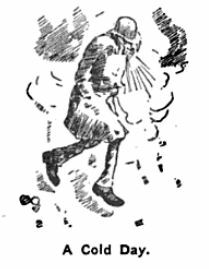 As the man fell he dropped a 44 caliber Colt’s revolver. The dead outlaw stood six feet two in his boots. His last crimes were the theft of five horses stolen inside of two weeks; amongst them were a fine pair of mares belonging to the father of his sweetheart. Dear Sir.–Your courteous letter of the 1st instant, in which you cordially consent to share my wealth and dwell together with me in fraternal sunshine, is duly received. While I dislike to appear cold and distant to one who seems so yearnful and so clinging, and while I do not wish to be regarded as purse-proud or arrogant, I must decline your kind offer to whack up. You had not heard, very likely, that I am not now a Communist. I used to be, I admit, and the society no doubt neglected to strike my name off the roll of active members. For a number of years I was quite active as a Communist. I would have been more active, but I had conscientious scruples against being active in anything then. I do not censure you, however. If you could convince every one of the utility of Communism, it would certainly be a great boon to you. I tried it awhile, but my efforts were futile. 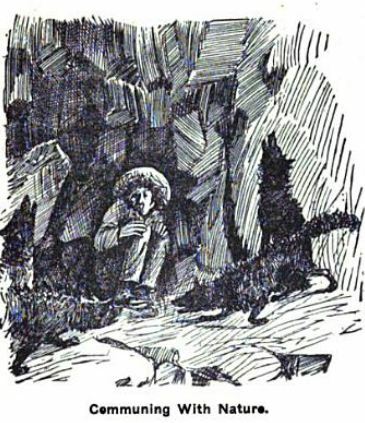 The effect of my great struggle seemed to be that men’s hearts grew more and more stony, and my pantaloons got thinner and thinner on the seat, ’till it seemed to me that the world never was so cold. Then I made some experiments in manual labor. As I began to work harder and sit down less, I found that the world was not so cold. It was only when I sat down a long time that I felt how cold and rough the world really was. Of course I am willing to put my money into a common fund if I can be convinced that it is best. I was an inside passenger on a Leadville coach some years ago, when a few of your friends suggested that we all put our money into a common fund, and I was almost the first one to see that they were right. They went away into the mountains to apportion the money they got from our party, but I never got any dividend. Probably they lost my post office address. Edgar Wilson Nye, who has become famous as a humorist under the pen name of “Bill Nye,” was born in Shirley, Piscataqua County, Maine, August 25, 1850. His family removed to Wisconsin shortly afterwards, and the boy was educated at River Falls, in that State. Early in the seventies he went to Wyoming Territory; he there studied law, and was admitted to the bar in 1876. While in Wyoming he served in several public capacities, as postmaster of Laramie and as a member of the legislature. He had early begun to furnish humorous sketches to the newspapers, and for some time was connected with the press as correspondent. He returned to Wisconsin in 1883. 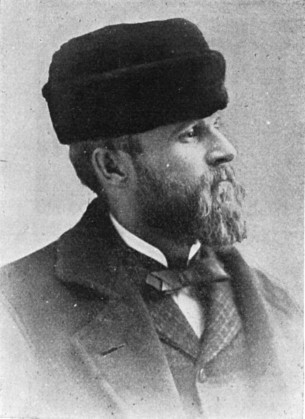 In 1886 he was connected with the New York “World,” and since then has been a weekly contributor to numerous papers. As a lecturer and reader from his own books Mr. Nye has been very successful. In 1891 he produced a play, “The Cadi,” at a New York theatre. His best-known books are “Bill Nye and the Boomerang,” “The Forty Liars,” “Baled Hay,” and “Remarks.” Mr. Nye has resided, for some time past, near Asheville, N.C.